As best man you will need to be funny, hilarious, you have to bring the house down, so no pressure! 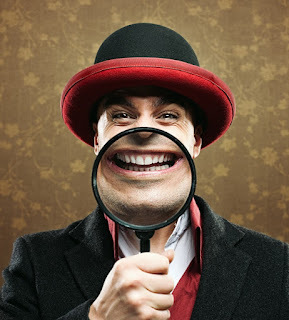 Lucky for you there is help out there, this incredible post will give you loads of free best man jokes, plus other jokes which you may be able to slip into your set, I mean speech. The groom has told me that they are going to Wales for their Honeymoon, well his exact words to me was "as soon as we're married, I'm going to Bangor for a week". A best man's speech should be like a mini-skirt, short enough to keep everyone's attention, longer enough to cover the essentials. The groom, he's witty, good looking, caring, thoughtful, honest, char...char..ming, sorry I can't read his writing. Attention Stags: Bournemouth Is Calling! Have you been passed the privilege of being the best man? As well as delivering a cracking speech, top of your agenda is planning an epic stag do that will go down in the history books. There’s plenty of stag do destinations to choose from, but none like the unique coastal party town of Bournemouth. This cosmopolitan party town has everything you need for a stag do set for success. This epic town has it all: miles of golden beaches, a buzzing atmosphere and amazing nightlife. 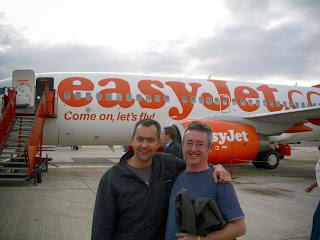 When it comes to organising a stag do, maximum fun and minimum planning is the key. 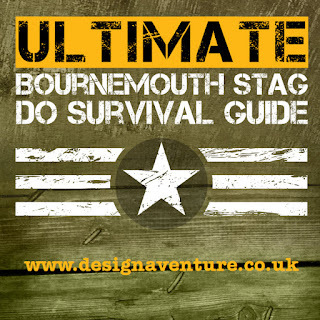 Our survival guide tells you all you need to know to make for a stag weekend to remember. You've just arrived by coach with the lads into Gatwick airport. As it's a stag do, the beers have been flowing like the water fountains in Rome, so it's a quick check in / bag drop off before hitting the bar in the departure lounge, right? Before you know it, getting to your seat on the plane is quite the struggle, you're the last ones to get on the plane and your creating quite a stir. You may remember a plane journey like this, I certainly did a few like this when I was younger, however the airline industry as a whole are clamping down on passengers getting too squiffy before getting on a flight ("squiffy?" makes me sound a bit like Boris Johnson!). If you have never heard of Bubble Football also known as Zorb Football before, then I have a question for you, where on earth have you been? Since early last year when an Italian Bubble Football video went viral (see below), this activity became the next must do stag activity. The idea is to run as fast as you can at your opponent, knock him off his feet, steal the ball and score a goal; easier said then done! Bubble football is loads of fun, it's not always easy to knock someone over but it's loads of fun trying. I had a knack of getting people to bounce, which helped me win a few games especially 'last man standing', if you would like to know my secret knack, ask me via my comments box below. "Why is it such a fantastic stag do activity then?"